If your business has multiple owners, it is imperative that you draft and sign a buy-sell agreement. 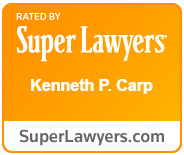 An experienced business attorney at the Law Office of Kenneth P. Carp can assist you in creating a specific agreement that adequately protects the rights of you and all business owners. If you run a business in the St. Louis or St. Charles area and need assistance with a buy-sell agreement, contact our office today at (636) 947-3600. A buy-sell agreement is a legally binding contract signed by co-owners of a business that outlines what will happen if one of these events occur. When an owner departs, many potential conflicts may arise regarding their share of the company, and such disputes can often lead to costly and time-consuming litigation in court. A buy-sell agreement sets out a plan in advance in order to minimize disputes and reduce the need for resource-draining litigation. This agreement can be compared to a prenuptial agreement signed by a married couple. The agreement is not only intended to protect the remaining owners of the business, but also the owner who is leaving. No matter how well the owners of your business work together now, unexpected changes in ownership can cause emotions to run high and everyone will naturally be looking out for their own best interests. This can lead to costly conflict if you did not come to an arrangement in advance. Each day that passes without a proper buy-sell agreement for your business puts your financial rights at risk. Do not risk an unexpected event that unfairly costs you hard-earned profits. Instead, consult with an experienced St. Louis business attorney for assistance in creating a quality buy-sell agreement as soon as possible. At the Law Offices of Kenneth P. Carp, we strive to help Missouri business owners, so please call (636) 947-3600 to schedule your free, no-obligation consultation today.